The LG C9 is a triumph of TV technology and offers significantly improved performance thanks to the addition of artificial intelligence. If you want Quantum Dot on a budget, the P-Series Quantum PQ65-F1 is one of the best values around right now. The Samsung Q90 is easily the most impressive QLED we have reviewed to date. 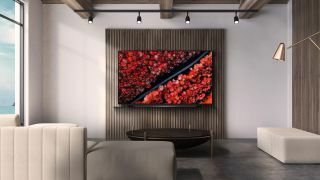 Samsung’s budget 4K television sure is sharp, even if it doesn’t have premium specs to make HDR really shine. Updated Bright, colorful scenes sullied by awful motion interpolation and unhelpful personal assistants. Top notch visuals, as the benefits of the OLED+ 903 trickle down the Philips range. Taking the top audio of the OLED+ 903, can the 8804 compete in the visual stakes? If you suffer from curved TV fever, the NU7300 is one of a dwindling number of TVs that can scratch that itch. Sony's new OLED uses the same panel and processor as the A9F, but ditches the ‘lean on’ leg design for a traditional stand. Updated TCL’s 6-Series offers a supremely good value for first-time 4K TV buyers. And now it comes in a 75-inch size.